Lyndell Joyce Nibling, 90, of St. Louis, MO passed away at 6:43 p.m., Monday, June 25, 2018 at Altenheim in St. Louis, MO. 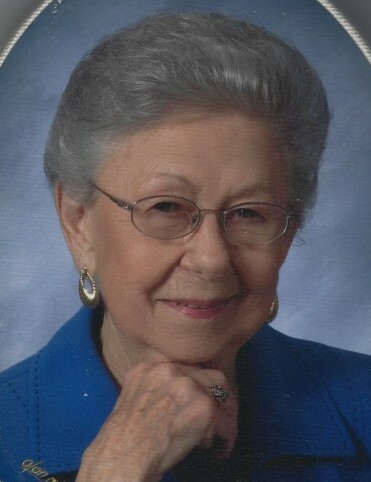 She was born in Enfield, IL on September 15, 1927 the daughter of Charley and Lillian Marie (Renshaw) Britton. Lyndell married James Lee Nibling on September 28, 1946 and he preceded her in death on May 17, 1990. She later married Adam K. Tooley on July 21, 1999 and he survives. Lyndell is survived by her husband, Adam; step-son, Michael Tooley, of St. Louis; step-daughter, Marcia Perry of Oakland City, IN; granddaughter, Christina Lee Beres, of Columbus, OH and two great grandsons, James Michael and John David Beres. She was preceded in death by her parents, a daughter, Virginia Lee Fierce, two brothers, Charles Dwight and Robert Dale Britton and a step brother, Jack Loveridge. A graveside funeral and burial service for Lyndell Joyce Nibling, 90, of St., Louis, will be held at 2:00 p.m., Friday, June 29, 2018 at White County Memorial Garden in Carmi. Campbell Funeral Home in Carmi is in charge of arrangements.